Infinite Art Tournament: The Wednesday Quiz was founded by George Fox in the 17th Century! The Wednesday Quiz was founded by George Fox in the 17th Century! 1. It's a coming-of-age ceremony in Latin America. 2. He was President of Norway from 1942 to 1945, and probably the only President of Norway whose name has become a word in the English language. 4. They're the group that George Fox founded in the 17th Century. 5. It's a category of animals, based on mobility, that includes mostly vertibrate mammals (though not humans) and reptiles -- although there are occasional exceptions, like the preying mantis. 6. 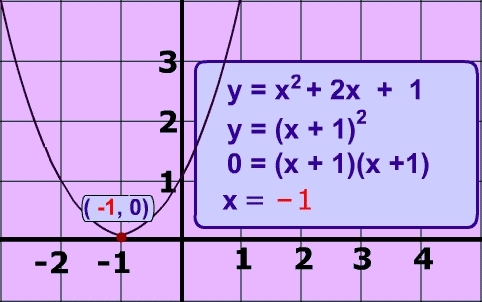 What is this a simple example of? 7. They might not have known this when you were in school, but it turns out that these are bright rings of matter being drawn into large black holes in the centers of distant galaxies! 9. What problematic unit is equivalent, depending on context, to 0.95 liters, 1.10 liters, or 1.14 liters? 10. What is, after feldspar, the second most abundant mineral in the Earth's crust? The so-called tie-breaker: Try making a coherent sentence with words starting with THIS week's letter! Blogspot ate my damn comment! II: The famous Quisling, based on the date. The things you never knew you knew. VII: Quasars, but then again I was younger than most of you guys when I went through school. Queasy, Quentin quickly quartered quince-quinoa-quail quiche quenelles, querulously querying Queenie's quavering quintuplets. Qam qudilous, qam qalameti; qualdo qamataloas qu qamalti. "Quick! Quit quaking! Queue quickly, quibbling quantities!" querulously quacked quality quip Quaker Quantum Quatloo, quixotically quashing quailing quagmired Queensland quadrupeds quaffing Qataran qat. Query: questing quintuplet quarterbacks queerly quit quiz? 6. Something which I did badly in in school. I can assure you this is a correct answer. BONUS: Queer Quisling quelches Quakers. Haven't been able to come up with anything worth reading, so instead I offer you a line from Dr. Seuss's ABC book "The Quick Queen of Quincy and her Quacking Quackeroo." Quentin quickly quit quaffing quince quaaludes*. * A quaalude is the name of a cocktail. 7. Quasars? I don't actually know what those are, but they start with the right letter! 8. Q...coatl. Yeah. That one. 9. A quart? I've been cooking for ten years and I'm still confused by fluid measures. Maybe they are truly confusing and I'm not just a ditz! Qubilah questions Quentin's Quranic qualities. 3. 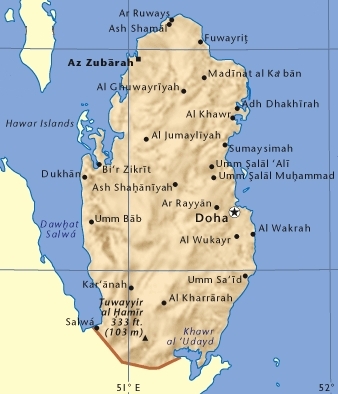 Aha, Doha gives me Qatar, and Q is the magic letter that makes everything else guessable. 5. quadrupeds - ooh I didn't think I was going to know it. 8. 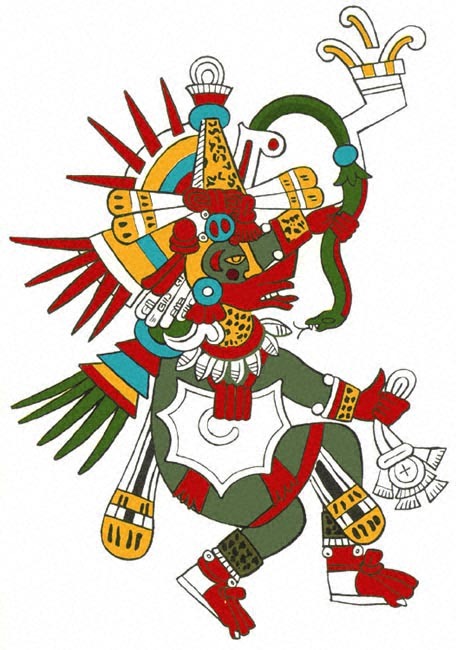 Quetzalcoatl - the feathers give it away, well that and the Q. 9. Gotta be the quart. I didn't realize quarts were as stupid as ozzes. I really hate ounces. Questionable quality quail quizzed Quartermaster Quentin. Oooh I hate ounces too! Next time I am trying to figure out what sized package to get to simulate ounces in some recipe it will alleviate my frustration to recall that there is some anti-ounce solidarity among those whose opinions are worthwhile. Liberia, Myanmar and you guys should get together a plan to abandon the ounce forever. They leak out, you see, and contaminate my grams and millilitres.